Whether you are searching for an action packed adventure or something on the calmer side, Ocean County at the Jersey Shore is full of family fun attractions. Make memories to last a lifetime wandering down the boardwalk, explore animals up close, or search the stars for constellations with all of these cool things to do with your kids. Six Flags Great Adventure & Wild Safari & Hurricane Harbor— from pulse-pounding roller coasters to gentler options for tots. Entertainment shows & restaurants onsite. 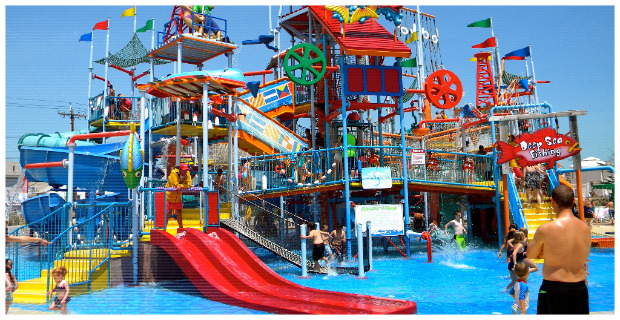 Hurricane Harbor has 47 acres of water wonderland to enjoy. A Season Pass pays for itself in less than 2 visits and includes over $300 in discounts on food and fun. Lakewood Blueclaws – Bask in a day of sun and fun and watch some great baseball at FirstEnergy Park. Insectropolis – View thousands of beautiful and bizarre exotic insects from all over the world. Pretend you are a termite as you crawl through their mud tube. Watch ants forage for food and build tunnels in their live ant nest. Of course, your visit is not complete unless you touch a bug. Casino Pier & Breakwater Beach Waterpark - Casino Pier, on the legendary boardwalk, offers many classic rides, thrill rides, restaurant, food stands, Games of Chance, Antique Carousel and huge arcade. Just across the street, is Breakwater Beach Waterpark, the safest, cleanest, friendliest water park. Let the little ones splash away in the safe, soft clean toddler area while the bigger kids take on the Two If By Sea. Tuckerton Seaport & Baymen’s Museum – Explore their 40 acre site, including an open air maritime museum, live animals, traditional arts demonstrators, fun festivals, and so much more. 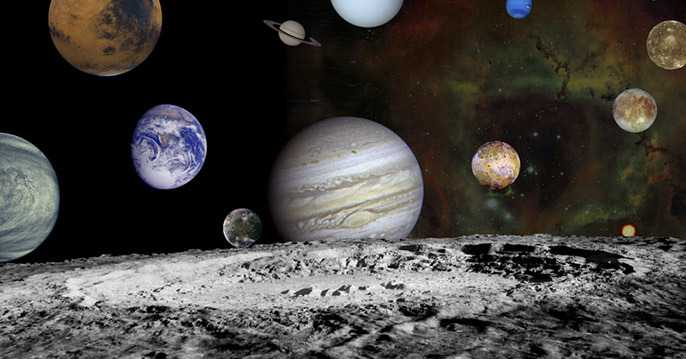 Robert J Novins Planetarium at Ocean County College - One of the largest and most active planetariums in the state, the Novins Planetarium offers a variety of children's, laser, and seasonal shows, plus an array of special events. Jenkinson’s Boardwalk & Aquarium - Jenkinson’s Boardwalk is an approximately mile-long destination on the Jersey Shore with a wide variety of activities perfect for the whole family. Attractions include an Aquarium, Amusement Park, arcades, and games of chance. Aquarium exhibits such as Atlantic sharks, Pacific sharks, coral reefs, penguins, alligators and seals give you the opportunity to get up close to animals from around the globe. Another attraction, the touch tank, allows visitors to touch live animals ranging from a sea star to a sting ray. Pirate Adventure Jersey Shore - Come sail with Jersey Shore Pirates. 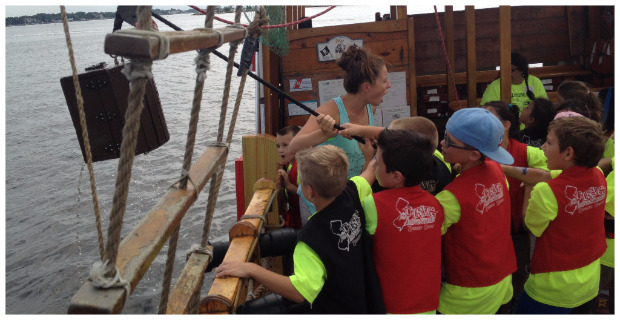 Bring your young pirates aboard the Sea Gypsy for a swashbuckling Pirate Adventure on the Metedeconk River in Brick NJ. A perfect adventure for families of all sizes. Hot Glass Studio – Unique glassblowing studio located in downtown Asbury Park. Walk-ins welcome for any age. Make a quick cast, sun tile, ornament, bubble, paper weight and so much more. 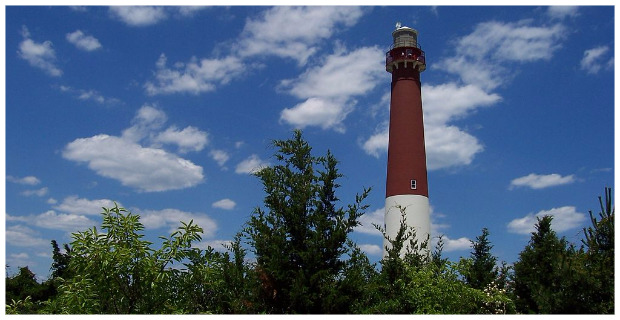 Barnegat Lighthouse State Park- Climb 217 steps to the top of the lighthouse. Bird watch, fish, walk the trails, visit the interpretive center, and bring a lunch to enjoy in their picnic area. 208 Broadway & Long Beach Blvd, Barnegat. Black Beard’s Cave – 20 hole miniature golf course, go-karts, arcade, bumper boats, batting cages, and driving range. Music Man Singing Ice Cream House - The Music Man Singing Ice Cream Shoppe is a vaudeville style Nightly Broadway Cabaret. Performers maneuver around the entire shop, singing directly to individual guests, and incorporating them into the show. It’s a unique family entertainment experience that appeals to all ages. Popcorn Park Zoo - What makes Popcorn Park so special is that each animal was rescued from suffering and exploitation - each has its own unique story to tell. You will learn these stories as you walk through the Refuge. You may be greeted at the gate by a gaggle of geese, but soon you will see a marvelous array of animals including an African lioness, tigers, mountain lions, a camel, emus, rheas. Muntjacs and more.